The abrasive waterjet generate lot of sludge after cutting, it will take some working days to clean it up by hand manually, and machine have to stop work meanwhile. TEENKING design 5 axis waterjet sludge removal system according years practical operation experience. 5 axis waterjet sludge removal system working with waterjet cutting machine together, the strong water jet stream helps the Sullage Pump sucking sludge from the preset pipe lines in the bottom of the water capture, after deposit and flow back sewage, you will get a full jumbo bag of half-dry sand-mud, then you can collect all the jumbo bags together and send it by truck. Looking for cost-effective high-end 5 axis waterjet sludge removal system Contact Teenking CNC now, which is one of the professional manufacturers in China who is equipped with skillful personnel and advanced equipment. We also deal with customized business to make customers 100% satisfied. Welcome to get our high precision products at competitive price. 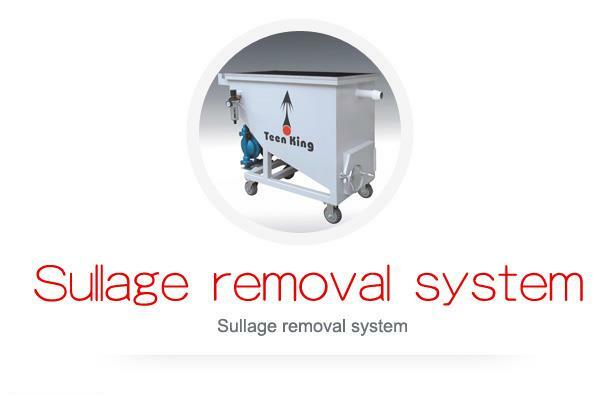 Looking cost-effective high-end 5 axis waterjet sludge removal system? Contact Teenking CNC now, which is one of the professional manufacturers in China who is equipped with skillful personnel and advanced equipment. We also deal with customized business to make customers 100% satisfied. Welcome to get our high precision products at competitive price.